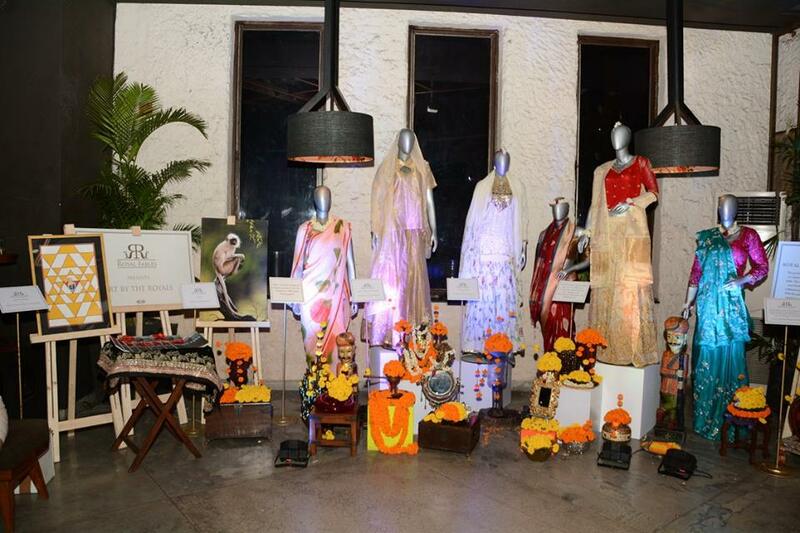 Royal Fables’ Palace Karkhana, a brand that promotes the hand-crafted tale of Princely India. Royal Fables’ Palace Karkhana, a brand that promotes the hand-crafted tale of Princely India, came up with winter edit theme that had some of the known royalties of India showcasing their creativity under one roof. Some royals like Kanwarani Archana Singh of Bandour, and Kanwarni Ritu Sinhji Wankaner along with many others displayed their line that mesmerized the fashion and luxury connoisseurs. Palace Karkhanas presents craft oeuvres of 25 leading palace studios from across the nation besides hand-picked artisanal tales of craft ateliers that keep the rich Indian handmade tradition alive. Some of the products available at the pop up store at The Chanakya are liveable art from traditional schools with a bit of a contemporary twist, art inspired products and textile collectibles. “Royal Fables this year has been truly special as we consolidate our fable into a strong retail story,” said its founder Anshu Khanna. Kanwarani Archana Singh told IANS that she has seen huge growth in men’s fashion and this is what she is going to focus on too. “Men are completely forgotten when you start working on any collection. This is big gap in market so I have designed pocket square with matching cufflinks,” she said. “There is also Bandgala buttons, kurta buttons along with Safari range which I am going to put out,” she added.